NEW YORK, October 25, 2011/African Press Organization (APO)/ -- Ethiopian Prime Minister Meles Zenawi last week accused journalists in the country of being "messengers" with "terrorist" groups, while a state newspaper accused the chief editor of an independent publication of having terrorist ties and called on security forces to "take action" against him. The Committee to Protect Journalists today said it condemns this campaign of intimidation against the private press. Since June, government authorities have arrested six independent journalists on alleged terrorism charges including Awramba Times Deputy Editor Woubshet Taye, Feteh columnist Reyot Alemu, freelance journalists Eskinder Nega andSileshi Hagos and two Swedish journalists, Johan Persson and Martin Schibbye. Referring to Ethiopia's private press as "vagabonds," Zenawi accused the private press of not understanding their profession, according to local reports. The trial of two Swedish journalists arrested in Ethiopia on suspicions of terror crimes will be delayed until Thursday. The Swedes arrived in an Ethiopian court Tuesday for the start of their trial on terrorism charges, but the hearing was pushed back until Thursday, their lawyer said. Photographer Johan Persson and reporter Martin Schibbye, both freelancers, have been held in jail since they were arrested on July 1 with Ogaden National Liberation Front (ONLF) rebels after a battle with government troops. However, the trial was delayed to allow lawyers to be appointed for two fellow co-accused, Somalis who Addis Ababa accuses of crossing with the Swedes and the ONLF illegally into Ethiopia. "The first and second defendant were not represented by law," defence lawyer Sileshi Ketsela told reporters outside the courtroom, adding that a public defence lawyer would be appointed for the two Somalis. "We were supposed to present our objections to the charges... but since it has to be heard together with the other defendants it was postponed," Sileshi added. An AFP reporter at the court said the Swedes, dressed in collared shirts, smiled at the court room, packed with around a hundred people. As they left the courtroom, Schibbye -- who turned 31 on Monday -- blew a kiss to the crowd, which was mostly foreigners. The Swedes were charged last month with being engaged in terrorist activities, aiding and abetting a terrorist group, and entering the country illegally without permission from neighbouring Somalia. Rights groups have already criticised the process of the trial, after Ethiopian Prime Minister Meles Zenawi said in an interview last week that the Swedes were "at the very least messenger boys of a terrorist organisation." Personal technology - YouTube: " "
If you pass by Kronoberg Prison in Sweden's capital, Stockholm, you will see journalists chained to its gates. They have committed no crime. For over a week, journalists have taken turns locking themselves up in front of the prison to raise awareness of the imprisonment of three colleagues held in the Horn of Africa. The show of solidarity is intended to highlight the cases of Dawit Isaac, a Swedish-Eritrean journalist held without charge or trial for over a decade in Eritrea, and Martin Schibbye and Johan Persson, freelancers with the Sweden-based Kontinent photo agency, who have been jailed in Ethiopia since July facing terrorism charges. Isaac co-founded Eritrea's now-banned largest newspaper Setit but was arrested with other journalists and political dissidents in a brutal September 2001 crackdown. Schibbye and Persson were arrested in eastern Ethiopia while reporting on the activities of separatist rebels the Ethiopian government formally designated as terrorists under asweeping anti-terrorism law. Schibbye and Persson risk up to 20 years in prison if convicted. 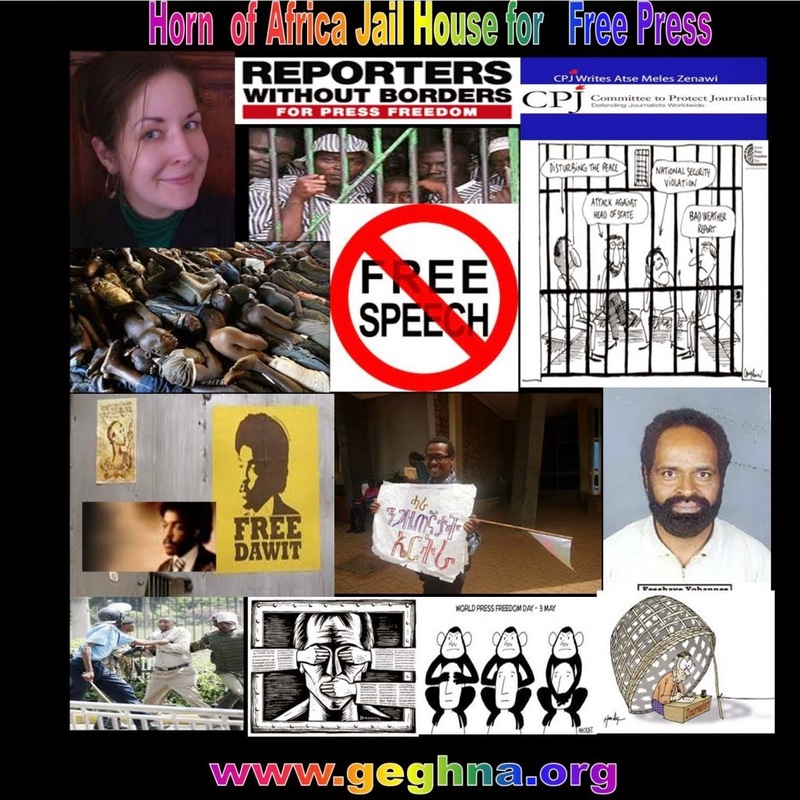 Eritrea holds the ignominious title of Africa's leading jailer of journalists while Ethiopia takes second place. The journalist community in Sweden is highlighting the plight of these three journalists and calling on the Swedish government to do more to foster their release. "The Swedish government is yet to make a clear stand for these and all journalists' right to do their job without being thrown in jail," says one of the organizers, Johan Wirfält, editor of the Swedish magazine Rodeo. Based on public statements made by Swedish Foreign Minister Carl Bildt, many journalists within the Swedish community have started questioning the government's commitment to securing the release of the journalists, Wirfält told me. Recent statements by Ethiopia's prime minister, Meles Zenawi, have further raised concerns that Schibbye and Persson will not receive a fair trial. In describing Schibbye and Persson as accomplices to terrorists and not journalists in an interview with Norwegian paper Aftenpostern, Zenawi brushed aside any expectation that the journalists would be granted the presumption of innocence, a fundamental right of defense. In the same interview, Zenawi questioned why Schibbye and Persson entered Ethiopia illegally "with a terrorist organization," and concluded "If that is journalism, I don't know what terrorism is." In fact, the premier holds the answer, in his government's policy of banning independent media access to the Ogaden region where oil exploitation and allegations of human rights abuses in the midst of a low-level insurgency go uninvestigated. "Everyone knows if you want to report in a war zone and not get killed immediately, you have to be embedded with one side of the conflict -- that does not mean the journalists are supporting their war, they are merely reporting the war," Wirfält said. Schibbye and Persson's journalism career is widely visible in the articles and photos published in some of Sweden's major publications, said journalist and protest organizer Sara Murillo Cortes. "All Swedes have seen photos taken by these journalists, there is so much proof that they have worked as journalists before, there is simply no discussion on that." So, on any given day roughly 25 Swedish journalists, including well-known veterans, can be seen standing outside Kronoberg prison in chains, Cortes told me. It is not easy at 40 degrees F (5 degrees C) to remain chained outside a Swedish prison. "Socks are most important. You have to wear a lot of socks. Not that it compares to being in prison in Ethiopia or Eritrea," Wirfält said. Well-wishers, including police working at the prison, buy them cups of tea and coffee. Sweden's press is also supportive. The country's leading daily Dagens Nyheter ("Today's News") ran its main op-ed on the subject, among many others. The group plans to keep their chains on until Schibbye and Persson's trial on Tuesday in Ethiopia's capital, Addis Ababa. "We wanted to show a physical presence, not just aFacebook campaign where you simply press a button," Cortes said. "This protest is a call for solidarity. Journalists must stand up for press freedom because what has happened to these three could happen to any of us." Former Cape Verde President Pedro Verona Pires has been awarded this year's $5m (£3.2m) Mo Ibrahim prize for good governance in Africa. The prize committee said Mr Pires, who stepped down in August, had helped make the archipelago off the West African coast a "model of democracy, stability and increased prosperity". There has been no winner for two years. The committee said there had been no suitable candidate. The $5m award, given over 10 years followed by $200,000 a year for life, is the world's most valuable individual prize. The previous winners are Botswana's President Festus Mogae and Mozambique's Joaquim Chissano. Sudan-born telecoms entrepreneur Mo Ibrahim says the prize is needed because many leaders of sub-Saharan African countries come from poor backgrounds and are tempted to hang on to power for fear that poverty awaits them when they leave office. Mr Pires, 77, told the BBC he was at the gym when he heard that he had won the prize. "I want to invest the money to publish a book about the story and the struggle for the independence of Cape Verde," he said. "I have no thought of using the money to invest in business or anything like that." Who Is Pedro Verona Pires? Mr Pires played a key role in the fight against Portuguese colonial rule and became prime minister at independence in 1975 - a position he held until 1991. He led moves to introduce multi-party elections, which his PAICV party lost. Ten years later, he bounced back to become president and stepped down after two terms, rejecting calls to change the constitution to remain in office, like several African leaders have done. Despite winning the prize, Mr Pires said he had no advice for other leaders on the continent. "I don't like to give lessons. I think each leader has his own challenges," he said. "We have to believe in African people and allow them to decide their own fate." 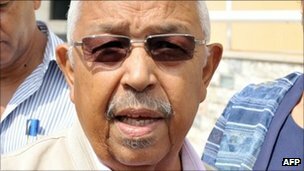 Committee head Salim Ahmed Salim praised his "humility" and "personal integrity" in refusing calls to change the constitution. Cape Verde - an Atlantic archipelago of 10 islands - has experienced significant economic growth in recent years, partly because of a boom in tourism. It is now classed by the United Nations as a middle-income country. But unemployment and poverty are still high, forcing many people to emigrate. Some 700,000 Cape Verdeans live abroad, more than the 500,000 at home, official statistics show.